How has the 2020 Healthcare Consumer changed PT websites? But the 2020 Healthcare Consumer already dominates today’s market. They exist at this very moment – right now – probably pecking away their smartphones checking local Yelp reviews, sharing an experience on Facebook, or contemplating the difficulty level of the latest “Tasty” video. These are the consumers you must connect with in order to build an optimally successful physical therapy practice. 8 seconds. That’s the modern attention span, according to a study from 2015 which says that’s all we have in us to concentrate on a task before becoming distracted. So what does that mean to physical therapy clinic owners? Plenty. 2020 Healthcare Consumers – your future PT clients – are as busy as you are, can get as distracted as you do, and often just want their information in snippets. They won’t peruse your website as they may have years ago. They’ll jump on, find what they need, and move on. So all the important information on your site must be easily accessible, brief, and call-to-action-based. Today, mobile is king. As of 2014, walk-in clients and patients are more likely to find you online using a smartphone than a desktop computer. Why 2014? 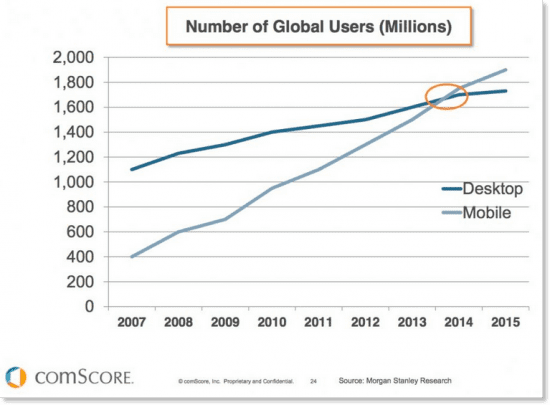 Because that’s the year when the number of mobile (smartphone) users worldwide surpassed desktop users. So if your private practice’s website isn’t mobile-friendly or “responsive” (meaning it’s design will automatically adjust so it’s equally as attractive and user-friendly across all devices), you could potentially be missing out on half your local healthcare consumer market. This may seem harsh considering what you may have invested in a once-modern, all-the-bells-and-whistles website for your practice, but it’s the new reality. It’s not that the 2020 Healthcare Consumer can’t make use of a good website; it’s just that they spend most of their time using social media and apps, not surfing the web. But, they will find and use your website if it meets them where they are. By rethinking your clinic’s website as a less-is-more web “hub” with tentacles (communication channels) that reach into the various digital worlds of the 2020 Healthcare Consumer, you can use great content to attract potential clients to your world. Wherever you are, stop for a second, look around, and add up the number of ads, slogans and logos you see. This is what you have to compete with: a consumer’s exposure of up to 5,000 ad mentions each and every day. For your brand to stand out, be it your individual clinic or the physical therapy professional as a whole, you have to position yourself in the line of site of the 2020 Healthcare Consumer. Through the web, you do this by standing out with a website that’s attractive, quick, and which connects you to the channels (e.g., social media, search engines, email) that your clients use. Here at BuildPT, we believe in physical therapy, so we want good physical therapists to be easily found online. We do this by building PT websites for the 2020 Healthcare Consumer – sites that are attractive, mobile hubs for any budget. To learn about how you can update your website and position you clinic into the line of site of your local healthcare consumers – even with $0 down – contact us at hello@buildpt.com.